The snow has barely retreated, and here they come! A promise of spring . . . and none too soon for me. 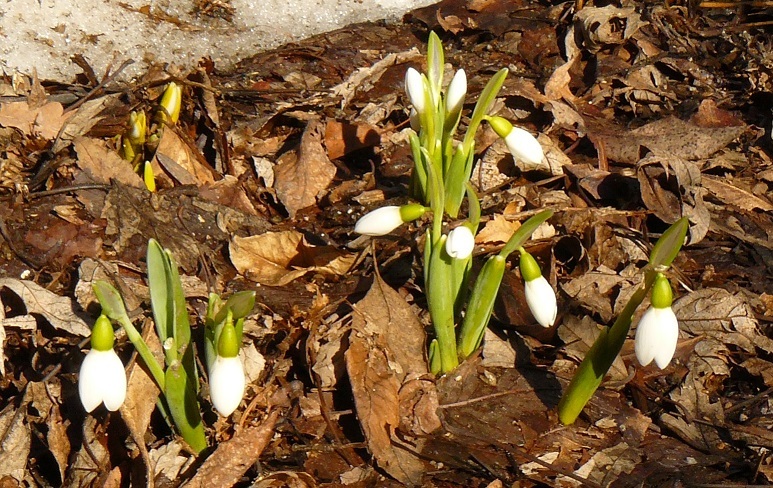 These Snowdrops are just the first in a succession of bulbs than will bring color, beauty and joy to the brownest, driest yard. Bulbs are a perfect addition to any xeriscape as they rely on natural moisture to keep them going and basically require no irrigation.